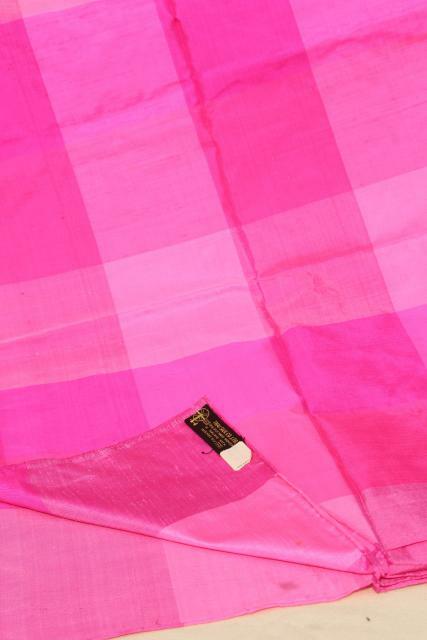 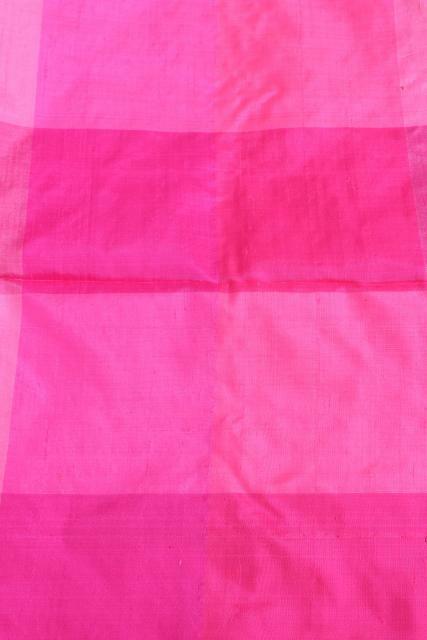 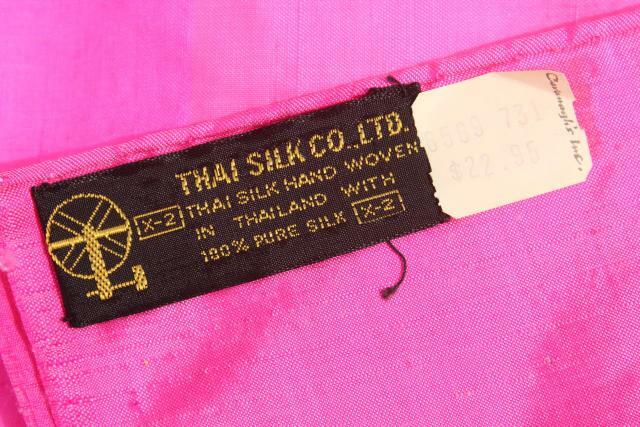 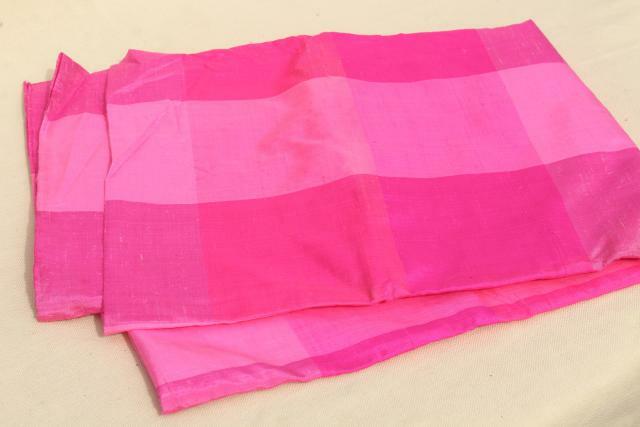 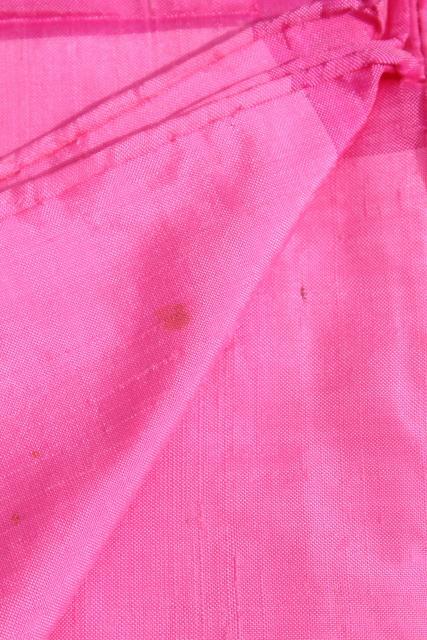 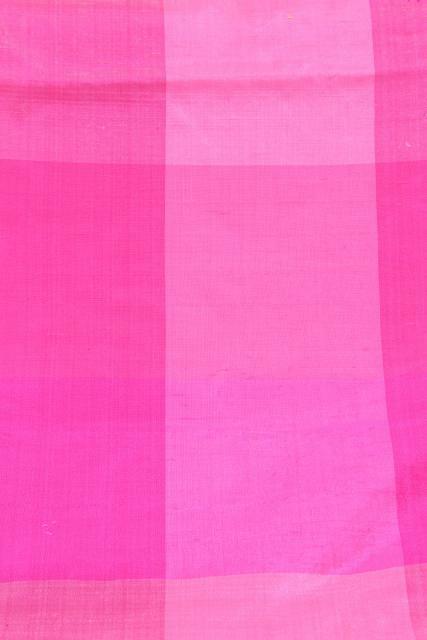 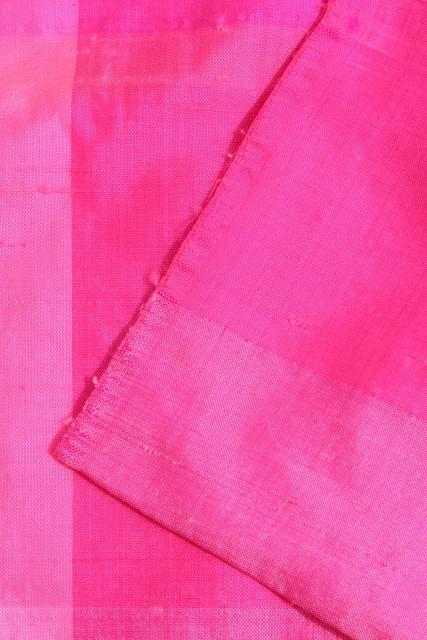 Gorgeous vintage Thai silk shantung scarf, shawl or evening wrap in vivid shades of pink! 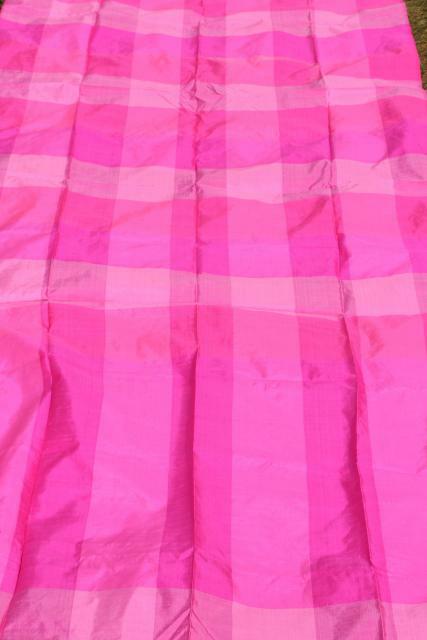 This is lovely and crisp but it has a few spots from years of storage. 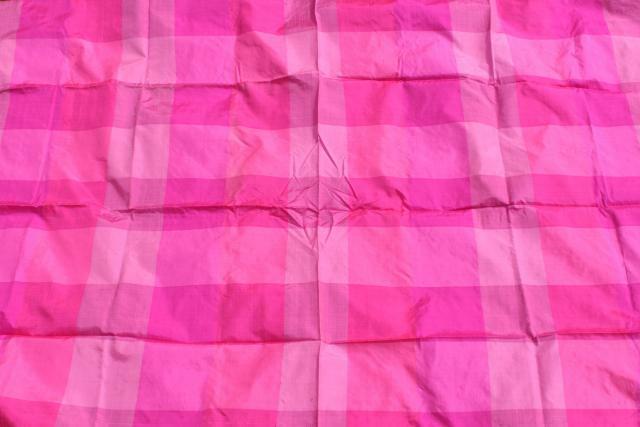 It would make nice cutter fabric if the spots are a problem for you (they aren't terribly noticeable against the bright colors). 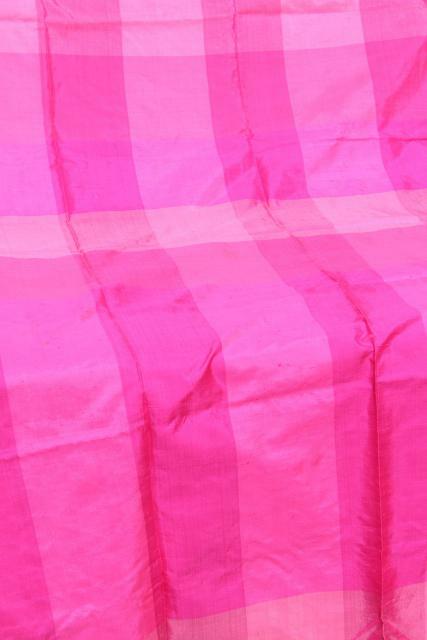 Measures 114" long x 38" wide, a couple of yards of quality silk material.